This simple yet elegant recycled plastic park bench is a beautiful addition to any outdoor area. 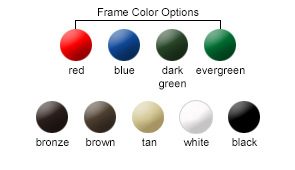 The seat and back planks can be crafted with either gorgeous Redwood or Cedar style recycled plastic, and the frame is powder-coated in any of the color options shown below. 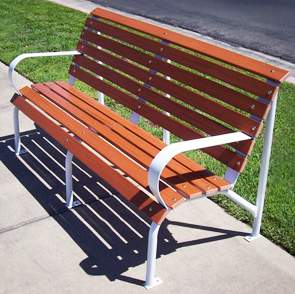 The durable recycled plastic slats makes this bench perfect for low maintenance parks or recreational areas. All Capitol Park Benches come standard without armrests, but optional single armrests are available to order.